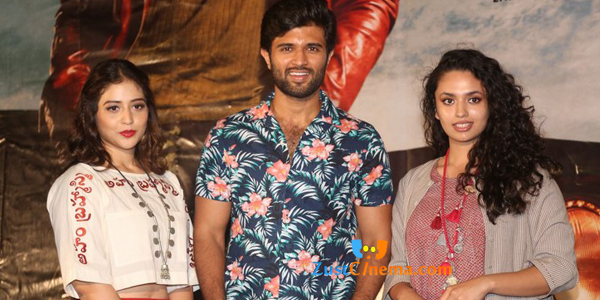 Vijay Deverakonda and Priyanka Jawalkar played lead roles in Taxiwala has garnered positive talk all over the world and collected a huge in its first opening weekend in Overseas too. Here is the latest collections report of Taxiwala from US. As of the update, this thriller film has earned $192,802 from 101 locations along with first day collections $308,746. Makers are wishing that this movie to collect half a million at US box office as it is running successfully. Taxiwala has collected Rs. 10.5 crores in Andhra Pradesh and Telangana States in its first weekend. Malavika Nair is seen as second fiddle in this Rahul Sankrityayan directorial entertainer. SKN, V. Vamshi Krishna Reddy, Pramod Uppalapati are the producers of this Jakes Bejoy musicals.